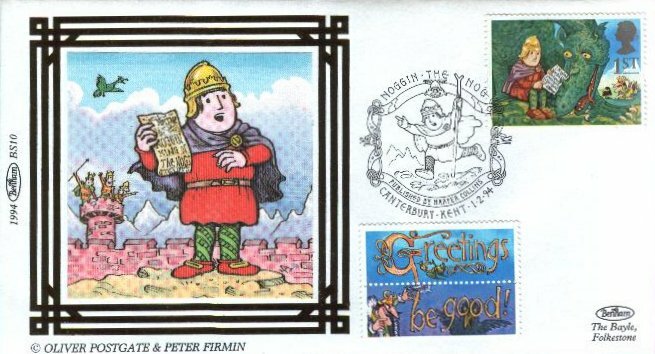 In 1994, a set of stamps were produced to commemorate famous children's characters. One of these was Noggin the Nog, and as well as the stamp, there was a postcard, sticky labels, and the first day cover. This is shown below. 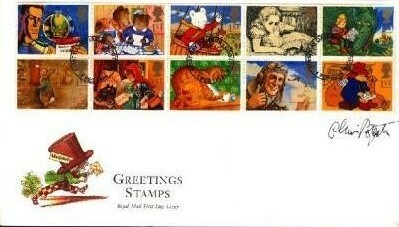 There was also a first day cover with all the stamps from the series. 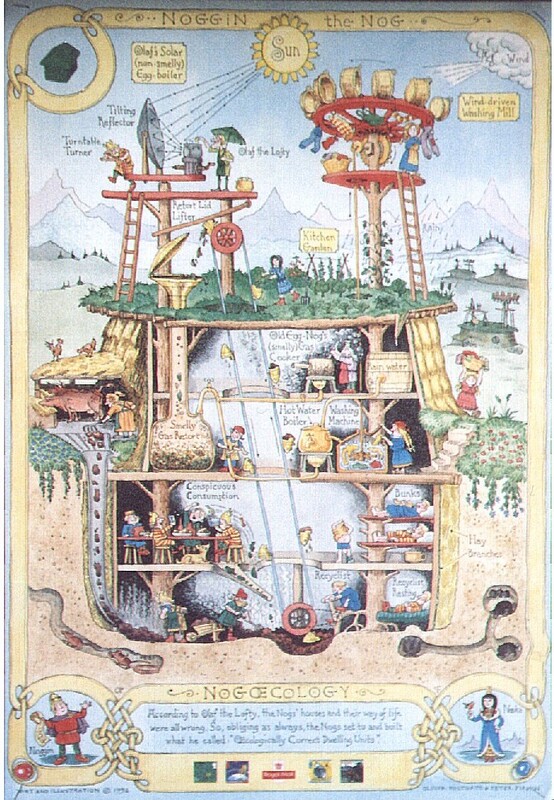 Peter Firmin drew some new pictures to form part of the advertising campaign for the new stamps, including the following one on the Nogs ecological advances.